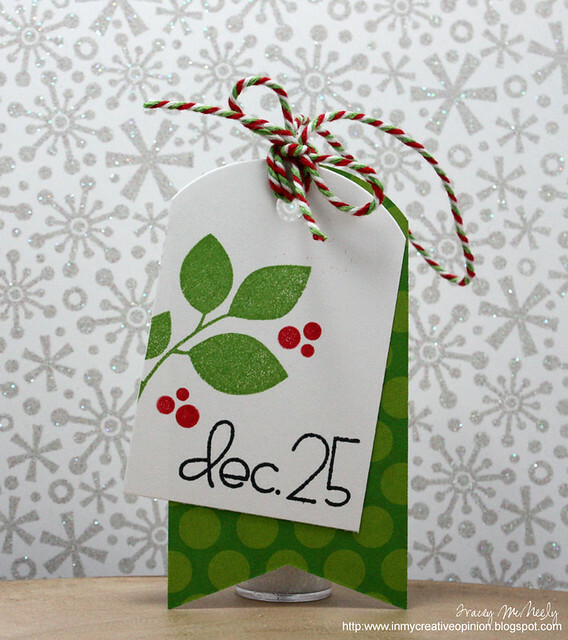 Welcome back to Day 22 of 25 Days of Christmas Tags! 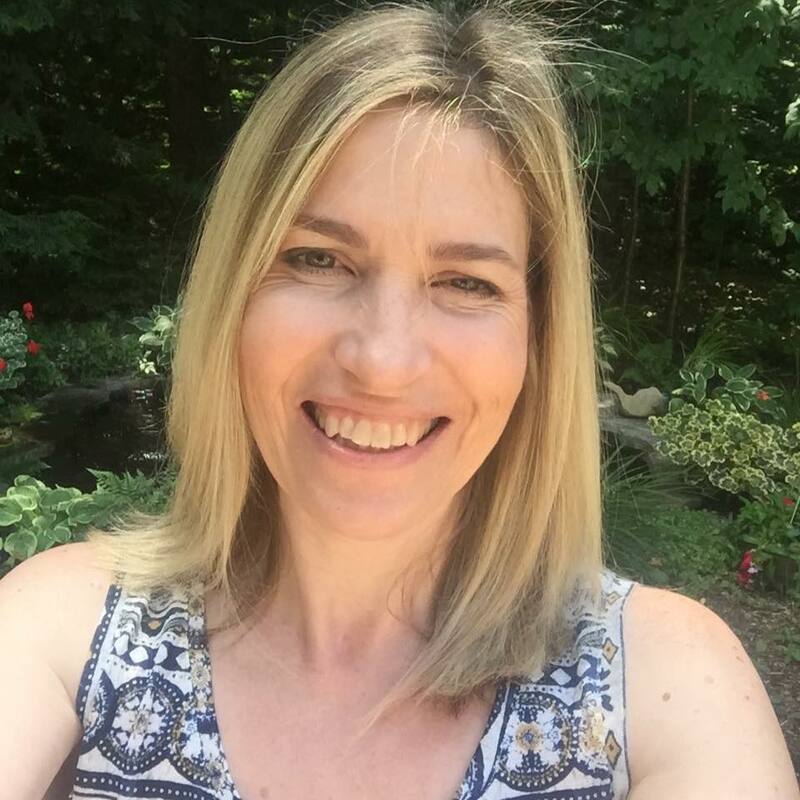 Today my guest is Kelly Schirmer of Gingham Girl! Kelly designs for Waltzingmouse, The Challenge Chicks and she is one of the 12 designer of The 12 Kits of Occasions. She is so talented and a really sweet girl. She has a way of adding glitter and/or shine to her projects in all the right places. I was so pleased that Kelly wanted to create a tag for today and I hope you pop over to her blog to leave her some love and of course have a look around. Ahh...two fabulous tags and you know how much I love those PaperSmooches stamps...my all time favorite Reflections set! I love the double layer and angled look of the last tag. I follow you via email. I follow your Pinterest boards--lucky me. So gorgeous! LOVING the holly on both of them!!!! Stopped by to visit Kelly after seeing this pretty tag of hers!! I think your outstanding little piece of art may be my favorite in your series this year Tracey! Love the layered design and of course those fresh sweet polka dots! Another fabulous tag. I love the two panels. I follow your tag Pinterest Boards. Tracey, I am going to miss your tags when you reach 25! They have all been so fun and love that you have TWO for each day, your guest designers were fabulous also! Gorgeous x two!! Love all the inspiration! 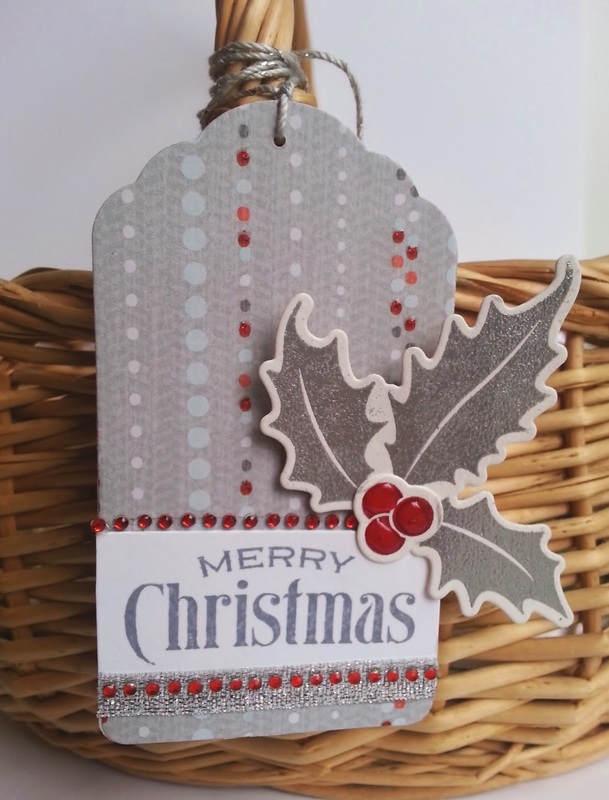 Love Kelly's grey tag and your fun and festive greenery tag - so many wonderful tags to inspire as I scroll down on your blog Tracey! All your tags are lovely Tracey, but I especially like this one- truly gorgeous. Thanks so much for introducing so many talented crafters too! Great tags! I especially love yours today, Tracey-- so fun and sweet! Thanks so much for having me as a guest, Tracey! LOVE that we both ended up with holly tags -n- dots :)!! Yours is so sweet with the whimsical Paper Smooches font and the awesome Christmas twine! so pretty! 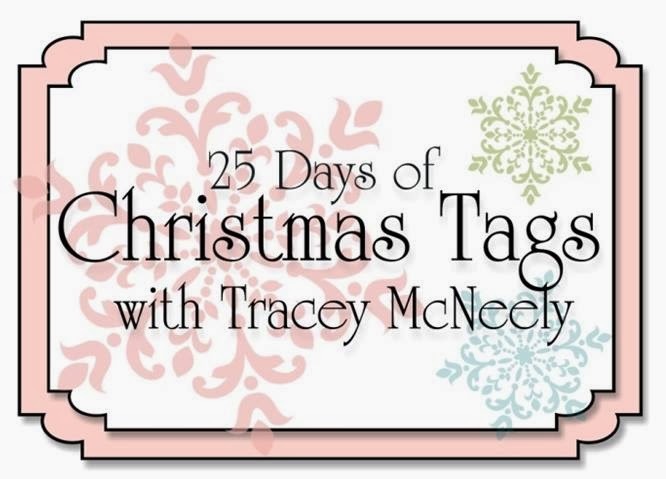 love ur tag today Tracey! Gorgeous tags! I'm enjoying getting to visit so many "new-to-me" blogs! Love them both! 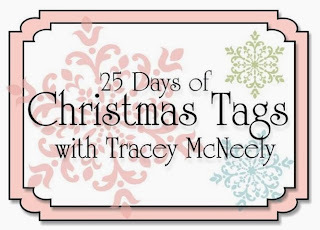 Love the green and red on your tag Tracey! You always tie the twine ,ribbon or bow so perfectly on top! I just love this tag, Tracey! I love the whimsical sentiment and that you chose traditional colors...so pretty! Off to check out Kelly's blog! The gray and red tag color combo really works! But your simple green with the red berry accents is my fave. I am a follower by Google Friend. Yippee!!! I love your tag so much! Love the look of two tags layered together! Love that you both used berries and leaves. Tracey, I adore your tag and loved the way you wrapped the twine at the top...it's different...and I like that. In love with today's tags, too. That twine you used is such fun--perfect for Christmas. I was working on tags with this same layering today, too. funny coincidence. Gorgeous tags today - very graphic and trendy, too! Wow... this is one fun tag, I love the bright green polka dots with the layered white, and your twine is just beautiful. Kelly's tag is so sweet. Brand-new follower on Pinterest. Yippee!! !